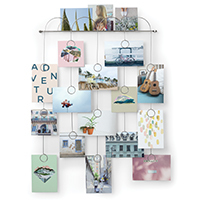 You asked for it and it did take us a while but we've finally found a top quality picture frame to display a child size football or rugby shirt, favourite band t-shirt etc. Better still, it's even made in the shape of a t-shirt and looks great when mounted. 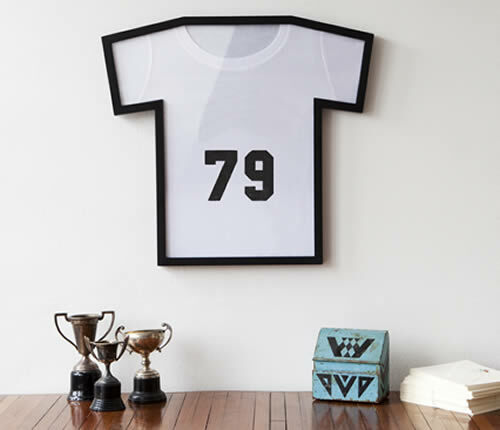 Available in a choice of black or white, this torso sized frame makes for a real statement piece hung above the mantelpiece with your favourite shirt proudly displayed inside. WE'd like to think it'll also be the envy of your little one's friends. SORRY WHITE NOW SOLD OUT!